Clean and concise explanation. Thanks for posting this and I will be adding it to our team discussions. 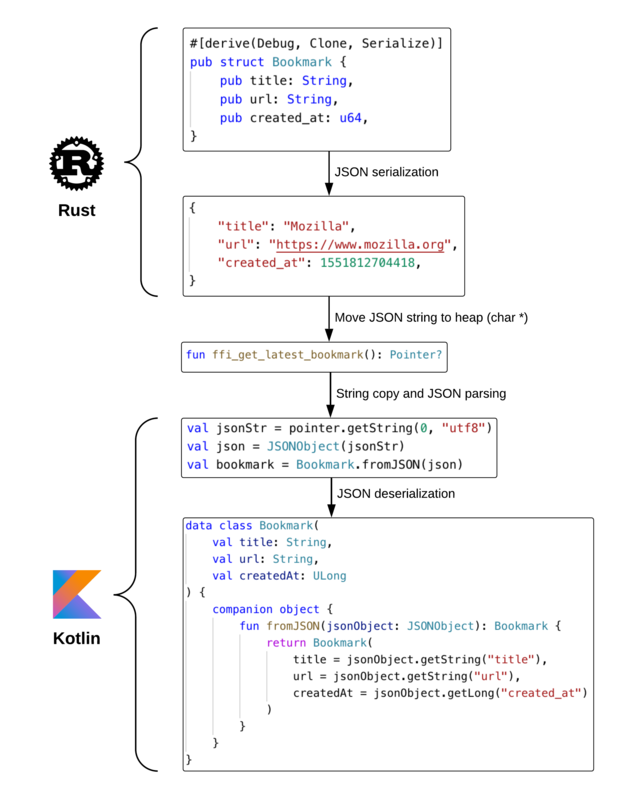 It’s nice to see the thought space around Rust developing so quickly. What was your teams reasoning for choosing v2 instead of the newer v3 for protocol buffers? One more question…why use the “prost” crate vs the “protobuf” crate? Hi Dwayne, thanks for your questions. 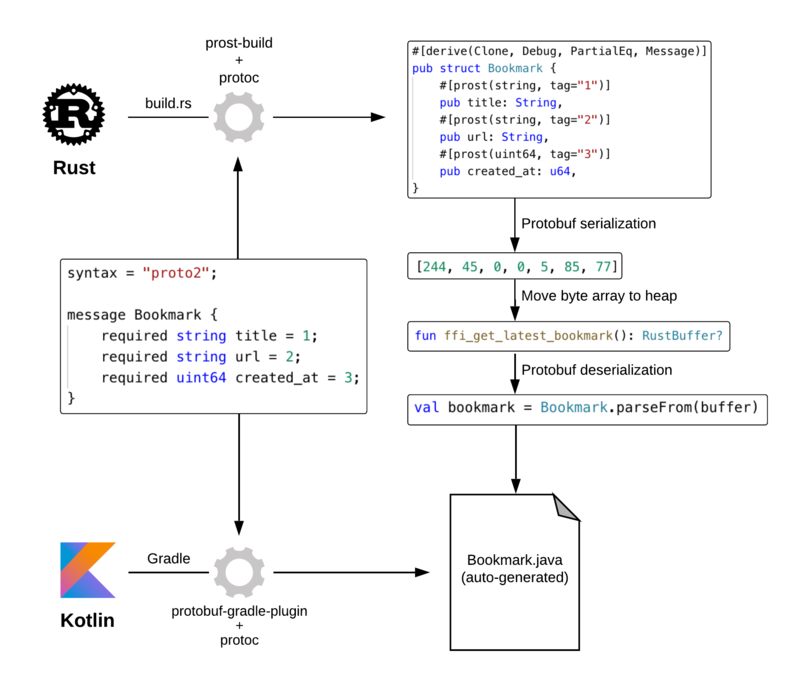 We use prost instead of protobuf because the API is cleaner and easier to use: “prost” auto-generated structs look like regular Rust structs , whereas the “protobufs” ones are closer to what you’d expect in a OOP language . We chose the v2 of protobufs because this version has better support for optionals (it’s possible to emulate them in v3 but not convenient) and should be supported for a while. I did this 2 weeks ago, rewriting a CPU intensive function in Rust. The Rust function was much faster, but FFI overhead reduced the benefit. What FFI overhead have you noticed? I’ll try out the ffi-support crate, as I didn’t know about it until now. Could this be a usecase for Apache Arrow? Apache Arrow is quite different, in that it is designed for sharing large amounts of columnar in-memory data between data-intensive applications. It actually tries to eliminate serialization/deserialization as much as possible by having each application use the same memory format.